The groups responsible for standardizing the language used to build Web sites have begun tackling technology to provide a direct interface to Webcams. The World Wide Web Consortium has begun work on the HTML Device addition to the Hypertext Markup Language specification. "The device element represents a device selector, to allow the user to give the page access to a device, for example a video camera," according to a December 11 draft of the specification. The move marks another step expansion of the scope of the Web standard. Advocates are trying to make it a foundation not just for static Web pages, but for interactive Web applications; the latter benefits from the direct access to hardware that applications running natively on a PC enjoy. 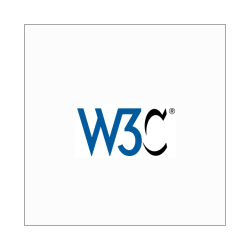 HTML is jointly overseen by two groups, the World Wide Web Consortium and the less formal WHATWG (the Web Hypertext Application Technology Working Group) that branched for a long interlude when the W3C wasn't interested in HTML. Ian Hickson, a Google employee, is editor of the new HTML5 specification under development. The HTML Device specification, though is part of a broader HTML effort. The WHATWG draft of the HTML Device specification has wider options, including interfaces to "a USB-connected media player" and an RS232 port, the latter an ancient standard, in computing-industry years, for serial communications. But, the draft WHATWG specification cautions, "RS232 is only included below to give an idea of where we could go with this. Should we instead just make this only useful for audiovisual streams? Unless there are compelling reasons, we probably should not be this generic. So far, the reasons aren't that compelling."